When two of the biggest cooler brands lock horns, only one will come out on top. The Pelican vs. Yeti coolers debate has been heating up for long, and with different opinions, it’s hard to know which ice chest is king. 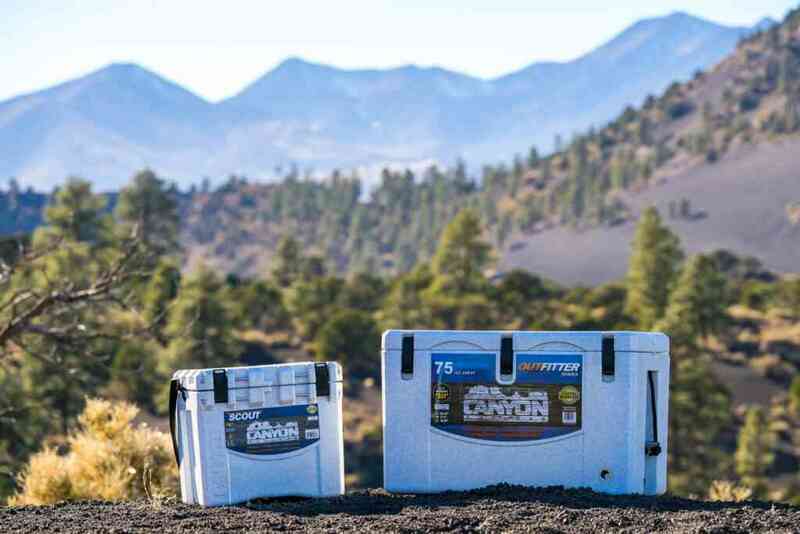 Pelican top of the line coolers – the ProGear Elite is rugged, and has a beastly look that screams “Tough.” Yeti, on the other hand, posses a sleek look and robust construction that makes it the most coveted cooler in the open market. So if you are trying to decide on which cooler to buy, our comparisons will give you a breakdown of features that’ll suit your taste. 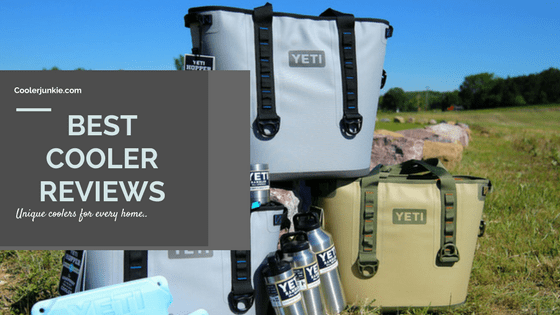 1.6 Pelican Vs. Yeti – Which Cooler is King? 2 Pelican Vs. Yeti – Which is better value for Money? Pelican Elite coolers are one of the most robust coolers in the world. But it couldn’t be the toughest without some features that make it stand out. The press and pull latches are common in Pelican Coolers. You’ll appreciate the latching mechanism as it is straightforward to use and can hold against its own in harsh situations. 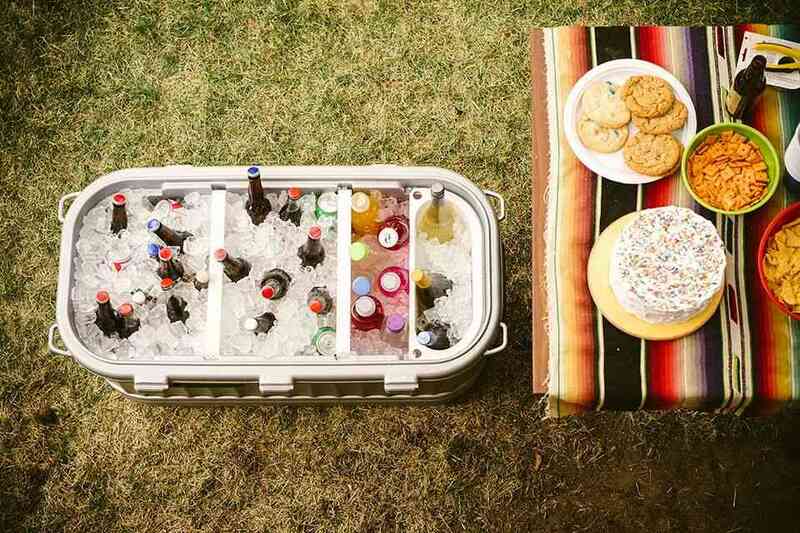 It’s effortless to access you cooler any time, press the latch and open your cooler is breeze. The best part is the latches reinforce the lid and base closure. The cooler combines non-skid and non-marking raised feet, meaning your cooler remains in place even when the cooler is in a moving vehicle. Non-marking raised feet allows you to drag the cooler on the floor without leaving scratches on your floors. If you are looking for a lockable ice chest the molded-in hasp made of stainless steel plate is one of the best options. Use good cooler locks to block out thieves and bears. The American lifestyle of on-the-go consumption means people need drinks at their disposal. Integrated cup handles ensure minimal opening of the icebox. This increases the ice life considering heat doesn’t get inside when you don’t open the cooler often. Small accessories like bottle openers often disappear when you need them the most. Well, you don’t have to go through the inconvenience. Thanks to the built-in opener, you’d never have to leave your opener at home whenever you carry your cooler. Wherever the cooler goes, then the built-in opener follows. 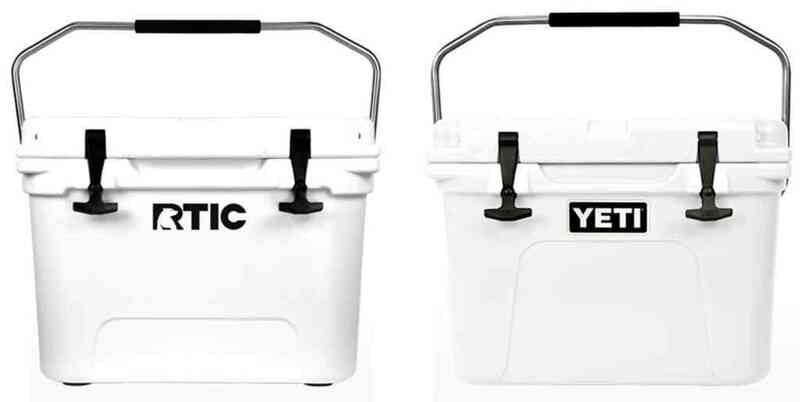 Pelican Vs. Yeti – Which Cooler is King? The above features reveal that Yeti and Pelican features share almost the same features. However, among the two, one has the ace in overall cooler performance. So let’s take a look at their features to determine who wins the crown. The Pelican Elite and Yeti Tundra have one of the most impeccable design you’d notice from afar. As for the Pelican Elite, it has a more rugged look and sophisticated design. Tundra coolers are somewhat simple and don’t have as many intricate parts. Concerning the hardware, both brands utilize a rotomolded construction on their flagship coolers. Yeti uses aluminum parts while the ProGear uses Stainless Steel Hardware. The Yeti injects its proprietary foam in the walls, while the ProGear includes polyurethane foam in its walls. The seal and gasket are often overlooked in coolers but what if I told you “a cooler is only good as its seal and gasket? 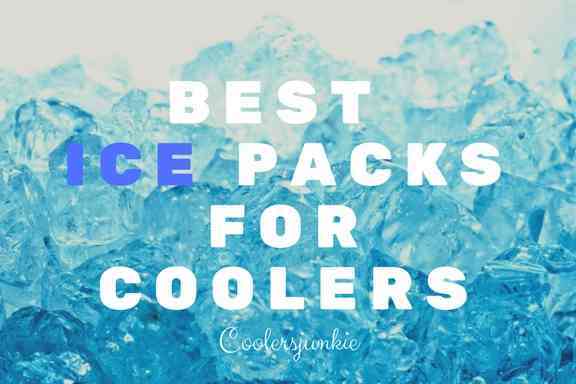 Gasket in coolers puts extra pressure on the lid and base of the body; this helps to close down the space between the two parts.With less air getting inside the cooler, the better the ice retention. Pelican coolers have been found wanting in this aspect, some users have reported the cooler not sealing well especially when used for some time. Reviews have revealed that Pelican employs a two-fold. As it isn’t of the highest grade, it slacks off with time and doesn’t fit well. Yeti are wary of imperfection; thus, they use a premium grade gasket rubber which fits inside the groove of the lid. Features such as non-marking and non-skid feet, tie downs extra accessories like dry rack basket are something both coolers have in common. 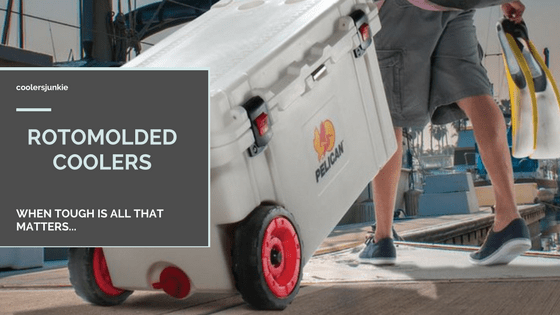 Pelican offers a lifetime guarantee to their cooler, but there’s a catch. The warranty covers the parts that are susceptible to break for nine months only. After the period, some parts are not covered by the warranty – like the wheels, drain plug, gasket, color fading and the rubber feet. Ironically, the parts left out from the 9months warranty are the most fragile components in the ProGear Elite coolers. 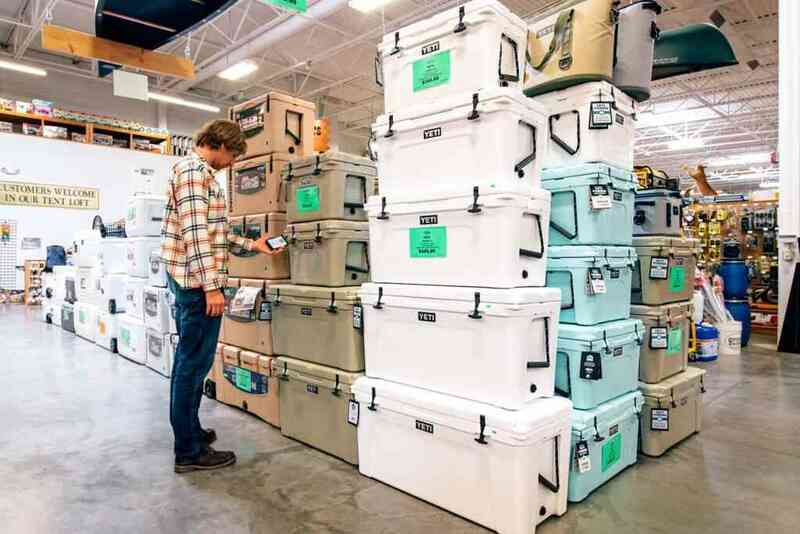 Unlike Pelican, Yeti provides a 5-year warranty which covers every component of the cooler during the warranty period. Although it’s not a lifetime, what you stand to gain is more than Pelican’s lifetime warranty that does not cover up for the most fragile parts after nine months. Handles – The handles on the Yeti offer handles with rubber grips, while pelican has Abs molded handles. Which is better? Well, it comes down to what you like. 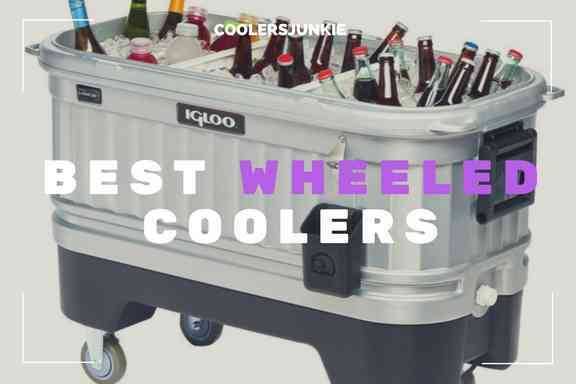 Wheels – Wheeled coolers will give you respite to lugging on a filled cooler. We all know how tiring lifting a filled cooler is. Wheels provide a more comfortable means of transportation; the good news is Grizzly coolers utilize wheels. But calm down, not all grizzly coolers do. Selected Grizzly models like the 45QW, 55QT, and 80QT models have wheels. 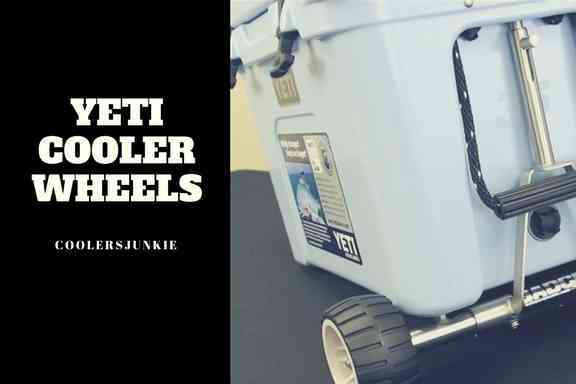 Yeti coolers do not have custom made wheels, but not to worry too much, there are customized Yeti wheels. Although the wheels will makeup, it comes at a cost. When it comes to purging water from a cooler, both Yeti and Pelican spouts are good to go. But which is better? The drain system of the pelican is a tube with a screw on cap. Made of cheap plastic, users have reported the cap to break after continuous use. It also has a garden hose connected connector. Yeti coolers utilize a drain plug that’s detachable. Another great thing about Yeti drain plug allows you to slightly open it for water purging without taking it out completely. Pelican has a 2.5-inch thick lid and the alls a 3-inch lid. It is superior to Yeti insulation with 2-inch thick lid and 2.5-inch-thick walls. If you want a cooler that is sure to stay iced in the harshest temperature, then the pelican is the only way to go. Most cooler users will sleep comfortably at night with Certified Grizzly bear resistant coolers. The good news is that both coolers are bear resistant but not without the best cooler locks. Yeti features just 3 colors – Desert Tan, White, and Blue. The Desert Tan will make a great hunting cooler, while the white color is suitable for marine purposes. Pelican comes in an array of colors. For almost 16 colors, the pelican is for men of style (Tan, Dark Blue, Aqua, Orange, Blaze Orange, Grey, Marine White, Forest Green, OD Green, Deep Purple. , and Purple). Unlike Yeti, Pelican is not limited by its colors. You could easily purchase the color you want as there are many options to choose from. Make no mistake, both of these coolers are one of the best ice performing ice chests that have enough insulation to keep your drinks for up to a week! They each have a rotomolded build which adds to the performance. One big tick for Pelican is the ice retention period of 10 days. Yeti doesn’t match pelican ice retention but manages to hold ice for 5-7 days. Pelican Vs. Yeti – Which is better value for Money? Yeti coolers are the most expensive on the market. Only luxury coolers tend to have higher price tags. Of course, the Yeti is more costly than the pelican. Considering how much you get for your money with the pelican, it’s apparently a much better deal than the Yeti especially if you have a strict budget. The Yeti has a better drain system, warranty, and construction, but if ice retention is most important to you, then Pelican coolers might be the way to go. But if you want the best cooler that would be your buy for life and money is not the problem, Yeti is an ideal option for you. Here’s a list of key differences between the Pelican and Yeti coolers. Design: Both look good; however, Yeti does look more sleek and modern. Price: Yeti is more expensive. Ice Retention: Pelican offers up to 10 days of ice recession. Yeti rotomolded coolers can’t hold ice for that long which is something of a shame but not surprising it can keep ice for 5 to 7 days. 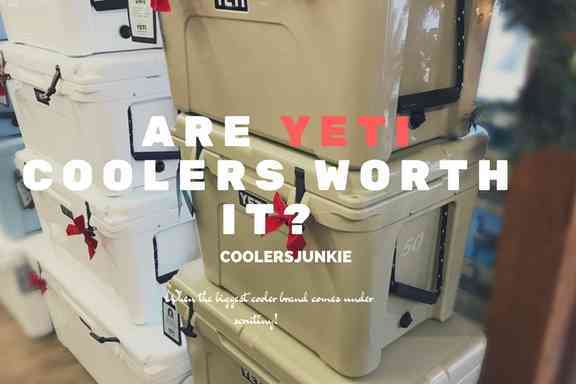 Value: The Yeti Tundra coolers are more expensive than the ProGear Elite, but it does pack some of the best features you’ll love. The ProGear Elite is a better value, but the Yeti is impressive to write off. The Pelican vs. Yeti is a debate that can’t be subjected to anybody’s opinion. It boils down what products fit your style. Both coolers are great, but if you want an outright winner, we’ll put it to a vote and see which cooler is most preferred by people. Which is your pick? Let us know in the poll below.